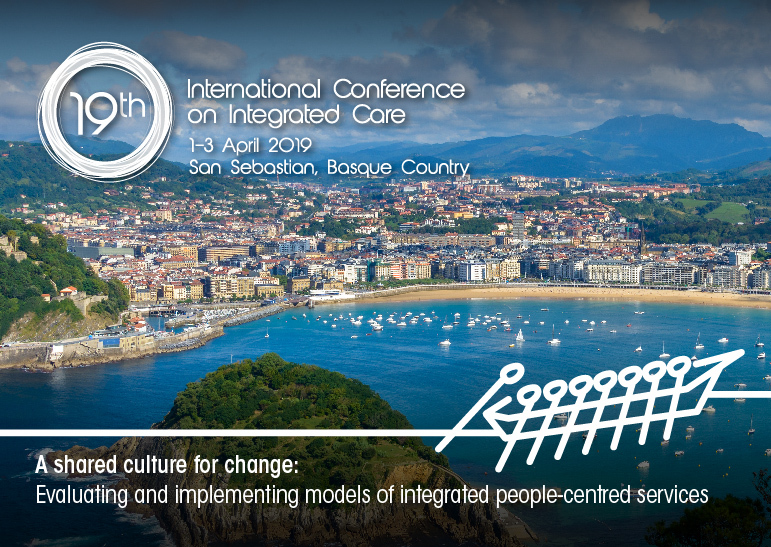 We were pleased that the 19th International Conference on Integrated Care took place in The Kursaal Conference Centre, San Sebastian, the Basque Region in Spain, on the 1-3 April 2019. With the overarching theme ‘Evaluating and implement models of integrated people-centred services’, the conference is a partnership of OSAKIDETZA – Basque Health Service, Bioef, Ministry for Health of the Basque Government the City Council of Donostia-San Sebastian and the Provincial Council of Gipuzkoa. The conference brought together researchers, clinicians and managers from around the world who are engaged in the design and delivery of integrated health and social care. People´s and community´s participation in integrated care systems. Managing beliefs, expectations and priorities. Reassessing health promotion, disease prevention and community health. Integrated care and its dimensions: clinical, professional, functional, organizational, systemic, regulatory, etc. Focus on vulnerable populations and populations at risk. Assessing integrated care performance, from people´s and community´s view – Quantitative and Qualitative approaches. Dr. Shortell has served as Principal Investigator on the National Surveys of Physician Organizations (NSPO 1, 2, and 3). His particular expertise is in conceptualizing, measuring, and analyzing organizational factors that are associated with physician organization and health system performance. His more than 300 peer-reviewed papers have appeared in a wide variety of organizational and health services/health policy research journals, and he is the author or co-author of ten books. Dr. Shortell is an elected member of the National Academy of Medicine (formerly the Institute of Medicine), past editor of Health Services Research, and past president of the Association for Health Services Research (Academy Health). He has been the recipient of the distinguished Baxter Allegiance Prize for his contributions to health services research, the Distinguished Investigator Award from Academy Health, the AHA/HRET TRUST Leadership Award, and many other awards. In 2006-2007, he was a Fellow at the Center for Advanced Study in the Behavioral Sciences at Stanford University. 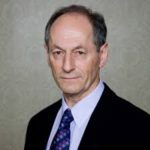 Sir Michael Marmot is Professor of Epidemiology at University College London, Director of the UCL Institute of Health Equity, and Immediate Past President of the World Medical Association. He is the author of The Health Gap: the challenge of an unequal world (Bloomsbury: 2015) and Status Syndrome: how your place on the social gradient directly affects your health (Bloomsbury: 2004). Professor Marmot holds the Harvard Lown Professorship for 2014-2017 and is the recipient of the Prince Mahidol Award for Public Health 2015. He has been awarded honorary doctorates from 18 universities. Marmot has led research groups on health inequalities for over 40 years. He chairs the Commission on Equity and Health Inequalities in the Americas, set up in 2015 by the World Health Organizations’ Pan-American Health Organization (PAHO/ WHO). He was Chair of the Commission on Social Determinants of Health (CSDH), which was set up by the World Health Organization in 2005, and produced the report entitled: ‘Closing the Gap in a Generation’ in August 2008. He served as President of the British Medical Association (BMA) in 2010-2011 and is President of the British Lung Foundation. He is an Honorary Fellow of the American College of Epidemiology; a Fellow of the Academy of Medical Sciences; an Honorary Fellow of the British Academy, and an Honorary Fellow of the Faculty of Public Health of the Royal College of Physicians. Michael chairs the Commission on Equity and Health Inequalities in the Americas, set up in 2015 by the World Health Organizations’ Pan-American Health Organization (PAHO/ WHO). The Commission will analyse the main drivers of health inequalities in the Americas, focusing on gender, ethnicity, and human rights as well as the social, economic, environmental, political and cultural factors that shape health. Henry Mintzberg s a Canadian academic and author on business and management. He is currently the Cleghorn Professor of Management Studies at the Desautels Faculty of Management of McGill University in Montreal, Quebec, Canada, where he has been teaching since 1968. In 1997, Professor Mintzberg was made an Officer of the Order of Canada. In 1998 he was made an Officer of the National Order of Quebec. He is now a member of the Strategic Management Society. In 2004 he published a book entitled Managers Not MBAs (Mintzberg 2004) which outlines what he believes to be wrong with management education today. Mintzberg claims that prestigious graduate management schools like Harvard Business School and the Wharton Business School at the University of Pennsylvania are obsessed with numbers and that their overzealous attempts to make management a science are damaging the discipline of management. Mintzberg advocates more emphasis on post graduate programs that educate practicing managers (rather than students with little real world experience) by relying upon action learning and insights from their own problems and experiences. Mintzberg has twice won the McKinsey Award for publishing the best article in the Harvard Business Review (despite his critical stance about the strategy consulting business). He is also credited with co-creating the organigraph, which is taught in business schools. From 1991 to 1999, he was a visiting professor at INSEAD. Mintzberg writes on the topics of management and business strategy, with more than 150 articles and fifteen books to his name. His seminal book, The Rise and Fall of Strategic Planning (Mintzberg 1994), criticizes some of the practices of strategic planning today. Mintzberg runs two programs at the Desautels Faculty of Management which have been designed to teach his alternative approach to management and strategic planning: the International Masters in Practicing Management (I.M.P.M.) in association with the McGill Executive Institute and the International Masters for Health Leadership (I.M.H.L.). With Phil LeNir, he owns Coaching Ourselves International, a private company using his alternative approach for management development directly in the workplace. Professor of Sociology, she has made research stays at the universities of Cambridge, Rio de Janeiro (P.U.C. ), Michigan, European Institute of Florence, Autonomous University of Mexico, and College of Spain in Paris. She is a member of the European Academy of Sciences and Arts. In 2002, she received the National Research Award for Social, Economic and Legal Sciences (2002). In 2018, the National Prize in Sociology and Political Science (2018). She has been recognized with the Honoris Causa Doctorate by the Universities of Valencia, Granada, and Autonomous University of Madrid. She has directed the Department of Socioeconomic Analysis of the Higher Council of Scientific Research, has been president of the Spanish Federation of Sociology and member of the executive committee of the International Sociological Association (ISA). Very commited with innovation in science and society, she was a founder of the Women’s Studies Seminar and first director of the UNESCO Chair in Equality Policies at the Autonomous University of Madrid. She often cooperates with social movements and international organizations, including UNESCO, World Health Organization, ILO, Economic Commission for Latin America, United Nations Development Program, UNFPA, ONUMujeres, as well as public and private foundations. Author of more than two hundred publications, her latest book “The Invisible Wealth of Care” (2018) proposes a framework of economic analysis that integrates monetarized and non-monetarized resources, especially unpaid care work. Nick was the co-Founder of IFIC in October 2011 and became its first Chief Executive Officer in March 2013. Nick is also the Editor-in-Chief of IFIC’s open-access and impact rated scientific periodical the International Journal of Integrated Care. Nick holds a range of research, educational and consultation roles worldwide. These international commitments include several European R&D projects such as the EU FP7 Project INTEGRATE, the Horizon 2020 project SUSTAIN and the ICT-PSP projects SMARTCARE, BEYOND SILOS, and CAREWELL. Nick is an active member of the European Innovation Partnership on Active and Healthy Ageing B3 Action Group on Integrated Care. Nick has also been working with the World Health Organisation to support the development of its Global Strategy on People-Centred Integrated Health Services and is on the Expert Advisory Team to WHO Regional Office for Europe’s Framework for Action Towards Coordinated/Integrated Health Services Delivery (CIHSD) leading work related to change management and adoption of integrated care in policy and practice. Over the past year, Nick has also worked as an international consultant to the Agency for Integrated Care, Singapore; the Pan American Health Organisation, Washington; the WHO’s Western Pacific Regional Office; and to NHS England’s Better Care Fund Support Programme. 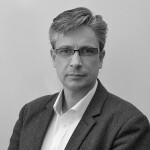 In previous roles, Nick worked as a Senior Fellow at the King’s Fund (2007-2013) leading key work on integrated health and social care as well as a two-year Inquiry into the quality of care in English general practice. Nick has also worked as a Senior Lecturer at the London School of Hygiene and Tropical Medicine (2003-2007) where he directed MSc and DrPH courses and worked as a lead academic for the National Institute for Health Research commissioning key studies into the service delivery and organisation of health care. In January 2016, Nick received the Avedis Donabedian International Award for his contribution to Healthcare Excellence and Integrated Health and Social Care. In 2014, Fiona joined the International Foundation for Integrated Care as Director of Communications. Fiona is responsible for developing the overall brand, marketing and communication strategy for the Foundation including membership development. She leads on various projects including Project INTEGRATE, the Annual International Integrated Care Conference Series and the World Congresses. 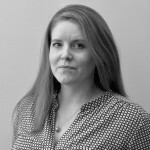 Fiona has worked in public policy communications since 2003. She began her career as a community stakeholder engagement manager at Fingal County Council in North Dublin supporting the local Community and Voluntary Forum to have an impact on local decision-making bodies. She went on to hold various project co-ordination and communication roles in both the public and private sector including periods with NHS North West London and the Royal Society of Arts. In 2010 she joined the King’s Fund, an internationally renowned healthcare policy think tank, as Head of Events and in subsequent years was responsible for moving the Fund into a leading position in the healthcare conference market. Fiona has a BA in Politics and Economics from the University of Limerick, an MA in Community Development and Stakeholder Engagement from the National University of Ireland, Galway and a Diploma in Management from the Dublin Business School. Dr Viktoria Stein, Senior Fellow in Integrated Care and Director of Educationand Training, International Foundation for Integrated Care (IFIC)Dr. Viktoria Stein joined the International Foundation for Integrated Care in September 2015 as Senior Fellow in Integrated Care and Head of the Integrated Care Academy©. As such, she is responsible for the development of IFIC’s Education and Training programme, which provides a range of courses and tools to support knowledge transfer, skills development and technical know-how. Among the portfolio is the International Summer School on Integrated Care, webinar series and content provision for Master’s programmes around the world. The courses are relevant for students, researches and professionals alike and are adapted to the needs of partners, such as universities or local health boards, on demand. Viktoria holds a PhD in health economics and in her work focuses on health systems and their organization, specifically how to design contextualized integrated models of care and how to manage the change process towards such models. She previously worked with the WHO Regional Office for Europe coordinating the development of the Framework for Action on Coordinated/Integrated Health Services Delivery, and supporting WHO Member States in reforming their health systems to better address the challenges of providing services for ageing populations and people with multi-morbidities. Prior to joining WHO, she was a research assistant at the Medical University of Vienna, working on the development of Austrian national priorities regarding integrated care and a national integrated care programme for dementia patients and their caregivers, among other things. In 2009, she was the Scientific Programme Coordinator and Organiser of the 9th International Conference on Integrated Care in Vienna. 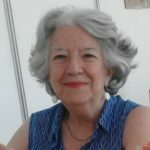 Throughout her career, Viktoria had a strong interest and focus on education and training, teaching students and professionals around the world, as well as developing her own course programmes.Viktoria was a founding member of the Board of IFIC and is on the editorial board of the International Journal of Integrated Care. Moreover, she is the founding president of the Young Researchers in Health Network (YRIHN), which will be further developed under the auspices of IFIC. Miriam joined the International Foundation for Integrated Care (IFIC) as Events and Marketing Assistant in January 2015. Miriam is responsible for managing the website, supporting marketing and logistical arrangements for all IFIC learning activities, including International Conferences, World Congresses and Study Tours. 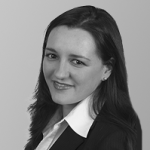 Miriam has a broad range of experience in administration and marketing, including managing her own business. She has recently returned from four years working in Australia. Miriam has a Diploma in Beauty Therapy from Cork College of Commerce where she graduated in 2007. Albert Alonso is a senior researcher at the Innovation Directorate, Hospital Clinic Barcelona. Albert holds a PhD in Medicine and a post graduate degree on Management and Organisation of Information Systems. He has been a main contributor to the development integrated care services at Hospital Clinic and the area served by the hospital. At present, he is involved in Project Integrate that benchmarks existing approaches to integrated care models in Europe. Albert is vice-chair and secretary of the International Foundation for Integrated Care (IFIC) and member and active participant in the action group B3 on Integrated Care (EIP-AHA). Bachelor in Business Administration and Diploma in Health Management, he is a senior technician at BIOEF, the Basque Foundation for Healthcare Innovation and Research, since 2010. Previously he worked in the strategy consultancy sector, mainly for public organizations, and imparted Business Organization and Corporate Social Responsibility at the University of Deusto (Bilbao, Basque Country). He has been involved in several innovation projects together with Osakidetza-Basque Health Service and the Ministry of Health of the Basque Government. His areas of interest include innovation implementation in healthcare organizations, patient empowerment, public engagement in health, healthcare systems performance information-systems, integrated care pathways and health and social care integration. From 2010 to 2015, he is a member of the Office for the Strategy of Chronicity in Basque Health Service. From 2015 to now he is the head of Integrated care and Chronicity Service in the Basque Health Service Osakidetza which is the public health provider in the Basque Country. Since 1993 to 2010 he worked as the head of training programs in the Basque Health Service. He has a Psychology degree, master in Human Resources and postgraduate in training programmes. His expertise goes with human resources development and management knowledge in health services as on the designing of training programs, especially for clinicians. Marisa Arteagoitia is Director of the Organisational and Management Innovation area at BIOEF where she gives support to the Basque Public Health System in the innovation of its organisational systems and management tools, fostering the discussion and the anticipation to trends and demands. Marisa Arteagoitia holds a bachelor’s Degree in medicine and Surgery, a master’s Degree in Hospital Management, a postgraduate degree in Evaluation and quality improvement methodology, and a Nursing Degree. She has been Director of Health Planning, Organization and Evaluation at the Health Ministry of the Basque Government, Surgery Medical Director at Cruces Hospital and Medical Director at Comarca Uribe. She is also Quality Evaluator of EUSKALIT (Basque Quality Foundation). Law Degree (long-cycle) from the University of the Basque Country (UPV/EHU). University Specialist in Human Resources Management. Before taking up my current post, I worked as lead lawyer at a law firm between 1987 and 1999. From 1999 onwards, and after specialising in the field of people management, I was Human Resources and Communications Director in the business world. FEDEAFES (Federation of Euskadi associations of relatives and people with mental illness). Mª José is graduated in law and has an extensive training in the field of mental health, is linked to the associative movement of people with mental illness and their families for more than 20 years. She represents the associative movement in the different institutional councils of Euskadi and especially in the social and health field. She has directed several research studies in relation to people with mental health problems on different topics such as social stigma, life quality, gender perspective in mental health and violence against women in the collective. Mª José is a member of the board of directors of the Basque coordinator of representatives of people with disabilities, Edeka, an organization that gathers the different regional entities of disability. In addition, she is a board member of the platform of the third social sector of Euskadi, Sareen Sarea. FEDEAFES is composed of AGIFES in Gipuzkoa, ASAFES in Araba, ASASAM in the Aiala valley and AVIFES in Bizkaia. It has more than 3.000 families and people associated and represents about 9.000 people. The associations of FEDEAFES manage quality services and provide opportunities for citizen participation. Ruth has a degree in Humanities and business from the University of Deusto and has a Master’s degree in manager development and leadership. Ruth has an extensive experience in the field of strategic consulting and human resources and has collaborated with the Deusto and UPV universities in different training and competency development projects. She has got a Degree in General History of Spain and the Basque Country, by the University of Deusto. Since 1989, she has developed her professional work in the City of Donostia – San Sebastián, first as a cultural manager in the Youth Department, and then in the Department of Neighborhoods and Citizen Participation, an area she manages between 1996 and 2009. On this date, and until July 2013, she is in charge of the coordination-management of the San Sebastian European Capital Culture 2016 project. Currently, she is responsible for the Transversality of the City’s Public Participation area and coordinates the Donostia Lagunkoia City Plan. She has participated, on behalf ot the City of San Sebastian, in different state and international agencies and networks, and collaborated as a speaker in training activities organized by different entities on issues related to the promotion of citizen participation in the construction of the collective and the improvement of democratic quality at local level. Andrew joined IFIC in 2016 to lead Integrated Care Solutions©, a new service that helps support IFIC’s international clients in the effective design and implementation of their integrated care programmes. Andrew is passionate about effective implementation of integration, ensuring it is both sustainable and scalable. Having worked at regional and national levels, he brings a wealth of experience in finding solutions which bridge the gap between health systems policy and implementation. 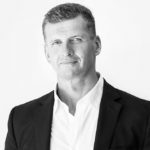 Before moving to Europe, he was Programme Director for Patients First, the New Zealand Primary Care Quality and Information Programme, which he successfully transitioned into a national not-for-profit company and was its founding CEO. He was also Programme Director for the NZ Ministry of Health for its national System Level Measures programme, leading the model to revolutionise the method of measuring and incentivising system integration nationally and moving away from silo’d reporting by hospitals and primary care. Andrew worked at national policy level, on national information systems, screening programmes and the design of hospital flow processes and supporting systems. More recently he was the lead consultant in the development of the preparation of a national tender process for a national primary care data warehouse in New Zealand. In the UK, he has led consulting engagements on process improvement/turnaround for two of the larger hospital trusts focussing on the areas of acute flow and outpatient management. From a policy perspective, Andrew has worked on European projects as an expert advisor on national health systems measurement. He has regularly been invited to present to the European Partnership for Supervisory Organisations in Health Services and Social care (EPSO) and is an active member of two of their working groups on risk and integration and some of their projects to assist European countries to evolve their supervisory and monitoring capability. He is a facilitator, builder of strong teams and focuses on mentoring groups and organisations to be self-sustaining in implementing new and effective processes and systems. Prior to his career in health management consulting, Andrew worked for Ernst & Young, initially in their audit team, then in consulting including for EY and SAP in logistics processes and systems. He has founded three companies including one that expanded into five countries. He has a reputation for building strong teams around complex projects. He studied Economics and Business management at Massey University in New Zealand. Dr. Henk Nies is member of the Executive Board of Vilans, the Netherlands Centre of Expertise for Long-Term Care. 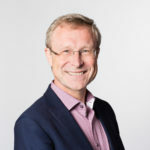 Moreover, he is professor of Organisation and Policy Development in Long-term Care at the Zonnehuis Special Chair at the VU University of Amsterdam. Furthermore, he is member of the Quality Council at the National Health Care Institute of the Netherlands. Throughout his career he has worked at the edge of policy, practice and research. He was involved in various national and international projects on long-term care and integrated care. He has worked on many national innovation and improvement programmes in long-term care, in various cases as a project-leader. His field of interest is inter-organisational collaboration and innovation, as well as quality management. In his international work, he was scientific director of CARMEN – the Care and Management of Services for Older People in Europe Network, a project supported by the European Commission (FP5). Moreover, he was a member of the scientific management team of the INTERLINKS-project, a project on health systems and long-term care for older people in Europe. Henk was also one of the founders of Eurocarers, the European association working for carers. Jeroen Struijs, Ph.D., M.Sc., a 2013-14 Dutch Harkness Fellow in Health Care Policy and Practice, is a senior researcher at the Department of Quality of Care and Health Economics, Centre of Prevention, Nutrition and Health Services, National Institute of Public Health and the Environment, where he has been conducting research since 2000. Prior to his work in health policy, Struijs was a practicing physiotherapist. Struijs’ research covers a broad range of topics surrounding payment reform and innovations in the organization of health care systems, particularly in primary care. His recent work has looked at the effects of bundled payments – newly introduced into the Dutch health care system – on the health care delivery process, quality of care, and health care expenditures. Jeroen has published peer-reviewed articles in journals such as Health Affairs, Health Policy, and New England Journal of Medicine. He is member of the editorial board of the International Journal of Integrated Care, and board member of the International Foundation for Integrated Care. Struijs holds a Ph.D. degree in health services research from University of Amsterdam, and two master’s degrees – one in health sciences from Maastricht University, and one in health services research from Erasmus University Rotterdam. 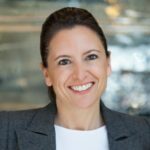 Jodeme joined The Change Foundation in April 2017 as Executive Lead, Strategy and Innovation. In this role, she is responsible for facilitating our strategic focus, creating more international relationships and examining opportunities beyond our current priorities to inform policy and practice in Ontario. 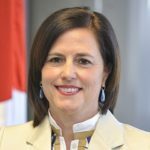 She brings over 20 years of experience in the Ontario health care and health policy sector and is an adjunct lecturer and co-instructor at the University of Toronto’s Institute for Health Policy, Management and Evaluation. Most recently Jodeme was the Chief Strategy Officer, Senior Director of Strategy and Planning and previously Lead, Health System Integration for Complex Populations and Primary Care at Toronto Central Community Care Access Centre. Apostolos joined HERC as a senior researcher in January 2015. His current work includes the economic evaluation of integrated care models in diabetes, dementia and other chronic conditions (Oxford CLAHRC), hospital-at-home services in geriatric care (CGA trial), strategies to increase cervical screening uptake (STRATEGIC trial), and process changes in breast cancer screening (CO-OPS trial). He is also principal investigator in Diabetes UK funded study that translates variation in the quality of diabetes care among general practices in England to lifetime health outcomes and costs. Prior to his current positon, Apostolos worked at the Institute for Medical Technology Assessment, Erasmus University Rotterdam. There, he was involved in observational (ZonMw-Disease management project) and cluster-RCT (RECODE trial) studies, in which he undertook the economic evaluation of several disease management programs in many different disease areas. He also investigated the cost-effectiveness of new professionals and new professional roles in integrated care in a FP7 European project (MUNROS project). Apostolos also worked as consultant at APE, a public economics consultancy located in The Hague. Apostolos has been teaching health economics in undergraduate, postgraduate, and professional courses in Oxford and Rotterdam. His work is published in numerous international scientific journals and presented in prestigious conferences in his field. Apostolos is Associate Editor of BMC-Health Services Research and Editor of Athens Journal of Health. He also acts as a reviewer in several journals and leads the Health Economics in Integrated Care special interest group of the International Foundation for Integrated Care. He is also appointed as a fellow in Green Templeton College, University of Oxford. Honorary Professor Anne Hendry, University of the West of Scotland Clinical Lead for Integrated Care, Scottish Government Senior Associate, International Foundation for Integrated Care (IFIC) Honorary Clinical Associate Professor, University of Glasgow Senior Advisor, Global Health Academy, University of Edinburgh Anne is a geriatrician, stroke physician and Clinical Lead for Integrated Care in Scotland where she led two at scale Transformation programmes on Long Term Conditions and Reshaping Care for Older People. As one of 3 national Clinical Leads for Quality she helped develop the 2020-Vision for Quality , an integrated approach to clinical and care governance, and a framework for quality assurance in Managed Clinical Networks. In all of these roles she has promoted person centred anticipatory care, co-production, self management, and assets based community capacity building approaches. As an Ambassador for the ALLIANCE Academy , Anne helped ensure the voice of people with lived experience informed policy, practice and action plans such as Many Conditions One Life and Active and Healthy Ageing. 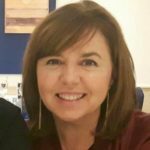 She is an advisor to the EU funded project INNOVCARE which is developing a holistic personalised care pathway for families affected by rare diseases. Anne was on the advisory board for the European Joint Action on Chronic Disease and leads a work package in ADVANTAGE: the Joint Action on Frailty involving 22 European Member States. She holds an Economics and Business Administration degree from the University of Deusto (Spain), Master in Business Analysis from Lancaster University (UK) and a Diploma in Health Management from Deusto Business School (Spain). At the beginning of her career she worked as a consultant for KPMG Consulting, developing projects in the field of strategy and management for both private and public sector. In 2004 she joined the Basque Institute of Healthcare Innovation, where she has been working as a senior researcher for ten years. She was involved in the design and implementation of the “Strategy for tackling the Challenge of Chronicity in the Basque Country”, released in 2010. She also became engaged in the design, development and evaluation of the “Integrated Care Plan in the Basque Country”, which underpins the transformation approach towards a more integrated, quality and efficient Basque healthcare system. Her areas of expertise are health services organization, management and evaluation, integrated care and chronic disease management. Robin is the Deputy Director of the Health Services Management Centre at the University of Birmingham. An applied health and care researcher, he has a particular interest in new models of integrated and primary care and how to achieve transformation in practice. He co-ordinates and teaches on numerous leadership and management programmes for clinicians, managers and purchasers. Robin is the Joint Editor in Chief of the International Journal of Integrated Care, an advisory group member of the European Primary Care Network, and a Fellow of the School for Social Care Research. Prior to his academic career Robin was a practitioner, manager and commissioner, and has served as a non-executive director and chair of trustees within housing and charitable sectors. David Perkins is Professor of Rural Health Research and Director of the Centre for Rural and Remote Mental Health, University of Newcastle which is located in Orange New South Wales. He is editor in chief of the Australian Journal of Rural Health and an editor of the International Journal of Integrated Care. He has worked as senior health service manager in the UK and has held academic positions in England and Australia. He publishes in the fields of health service integration, service design and policy and is a member of the NSW Minster’s Advisory Committee on Rural Health. 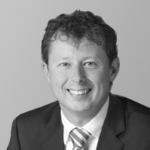 He is a Board Member of the International Foundation for Integrated Care and leads IFIC Australia. Henri De Ridder is Director-General of the Health Insurance Department at the National Institute for Health and Disability Insurance, Brussels, Belgium since 17/10/2005. He graduated from the University of Ghent as a doctor in the medicine, surgery and obstetrics in 1976. He was general practitioner in a primary health center from 1976 till 2000. He was counselor and deputy director in the cabinet of Ministers of Health and of Social Affairs from 1997 till 2005. He has large experience in public health policy, public administration, primary health care, social equity and equal access, chronic care, health insurance. Dr Áine Carroll is Ireland Health Service Executive’s National Director for Clinical Strategy and Programmes since November 2012, a division encompassing the National Clinical Programmes, Integrated Care Programmes and The Office of the Nursing & Midwifery Services (ONMSD). The National Clinical Programmes were established to improve and standardise patient care throughout the health services by bringing together clinical disciplines to develop and share innovative healthcare solutions in individual specialty delivery. Dr Carroll is currently building on the successes of the Clinical Programmes through the development of Integrated Care Programmes for older persons, chronic disease, children and patient flow, to promote coordinated care and team work across services and specialties, ensuring that care is provided effectively and seamlessly to patients as they move through the system. Prior to her appointment as National Director, Dr. Carroll was the Clinical Lead of the Rehabilitation Medicine Programme. Amaia Sáenz de Ormijana, RN, BScHs Nursing, MSc, PhD Cand. I was born in Vitoria (Basque Country) 42 years ago. I am mother of a 3.5 year old beautiful girl. After finishing my Degree in Nursing in my home town, I continued my studies within a conjoint program with the University of Brighton, went for my Masters at the University of Montreal and then stayed for a year at University of Toronto as part of my Doctoral training. I have worked as a staff nurse at a Neurology clinical ward for over 10 years but feel more comfortable at the Primary Care – Community Care side of the system. I right now work at the Care Integration Department of an Integrated Health Care Organisation in the Basque Country. I feel closely “linked” to the qualitative side of knowledge and life. Marisa Arteagoitia holds a Bachelor Degree in Medicine and Surgery, a Master’s Degree in Hospital Management, a postgraduate degree in Evaluation and quality improvement methodology, and a Nursing Degree. She has been Director of Health Planning, Organization and Evaluation at the Health Ministry of the Basque Government, Surgery Medical Director at Cruces Hospital and Medical Director at Comarca Uribe. She is also Quality Evaluator of EUSKALIT (Basque Quality Foundation). María del Mar is a Medical Doctor , specialist in Family and Community medicine, trained at the University of Basque Country where she also developed his doctoral work obtaining her PhD degree in 2008. She has served the medicine profession in various setting including hospital and ambulatory care in Basque Public Health Service since 22 years ago. At present, she works as a family phisician and is the head of a Primary Care Unit in Bilbao. She is an active member of several working groups at Bilbao-Basurto integrated systems organization dealing with the development of integrated care pathways and elements to improve information, communication and education of patients and their caregivers. 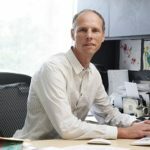 Dr. Wodchis is an Associate Professor at the University of Toronto, and Scientist at both the Institute for Clinical Sciences and Toronto Rehabilitation Research Institute. His main research interests are health economics and financing, and health care policy evaluation. He leads a number of research programs focused on care for complex populations across multiple health care sectors. Esteban is MD (University of Navarra), holds a Master degree in Community Health (University of London (LSHTM)) and a Specialist degree in Family Medicine (Autonomous University of Madrid). From 1983 to 2002 he was Regional Director of Primary Health Care and Health Promotion in Andalusia (Spain) and later, Academic Director of the Andalusian School of Public Health. From 2003 to 2011 he has been the CEO of the Institute of Health Sciences of Aragón (Spain), responsible for Health R&D and knowledge management in the Region of Aragon. Since July 2011, he is in charge of Kronikgune, the Research Center on Chronicity of the Basque Country (Spain). He has experience in national and international projects about public health and health systems development. His has a broad expertise on strategic management, human resources development and knowledge management in health services and research. Dr Ana Maria Miquel Gomez graduated with a Bachelor of Medicine and Surgery from Autonomous University of Madrid where she specialized in Family and Community Medicine. Then went on to do a full Doctorate by the University of Madrid and Graduated with a Master’s in Management from IESE Business School: Healthcare Management Program. Currently, she works as a General Practician in a Health Center in Madrid, and she is Professor and Researcher in The Rey Juan Carlos University in Madrid. She also cooperates with different organizations an and international projects related to chronicity and integrated care (IFIC, BERKELEY UNIVERSITY, ICARE4EU, JA-CHRODIS, the Spanish Ministry of health social services and equality). Till December 2015 She was the Coordinator of the strategy for patients and chronic diseases in the community of Madrid an also, Deputy Manager of Planning and Quality of Primary Care Management of the Madrid Health Service. Prior to this Dr Miquel Gomez was Deputy Director for Management and Monitoring of Objectives in Primary Care DG Madrid, Medical Director of Primary Care Area 8 of Madrid and Medical Director of SUMMA 112 in Madrid. She has been Professor of several Master of Public Health Care, Quality and Management at the Autonomous University of Madrid, University Rey Juan Carlos de Madrid and University Complutense de Madrid. She is the main author of 17 scientific publications and between 150 communications, conferences and seminars in different Meetings and Congress, receiving 6 awards. She is expert in Quality management, Strategic Planning, Projects Development, and Evaluation. graduated with a Bachelor of Medicine and Surgery from Autonomous University of Madrid where she specialized in Family and Community Medicine. Then went on to do a full Doctorate by the University of Madrid and Graduated with a Master’s in Management from IESE Business School: Healthcare Management Program. Dr. Joaquin Fuentes attended Zaragoza Medical School in his native country, Spain, and completed residency training in psychiatry at the Albany Medical Center Hospital, Albany, New York, and his child and adolescent psychiatry fellowship at the Western Psychiatric Institute and Clinic, University of Pittsburgh. Dr. Fuentes is the chief of the Child and Adolescent Psychiatry Unit at Policlinica Gipuzkoa, and serves as research Consultant to the Gautena Autism Regional Program, in his hometown, Donostia / San Sebastián, Basque Country of Spain. 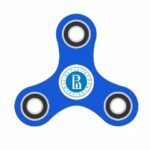 Dr. Fuentes has been involved for the past 37 years, in supporting the development of a comprehensive influential community program for people with autism spectrum disorders. His current research is focused in epidemiological studies, clinical trials and development of European policies in autism.